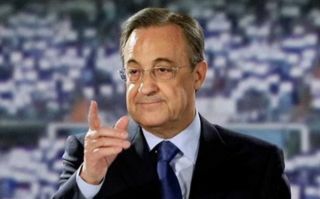 Real Madrid president Florentino Perez wants to fast-track Rodrygo and Vinicius Jr into the first team at the Santiago Bernabeu. The Brazilian pair are widely considered to be Los Blancos brightest hopes for the future in attack, with Vinicius recently earning his first ever senior appearance for the club during a La Liga draw against Atletico Madrid. The 18-year-old agreed on a deal in principle to move to Madrid in 2017, but he spent one more year with Flamengo in Brazil before completing his switch this summer. Meanwhile, Rodrygo has been acquired in similar circumstances, having agreed on a transfer to the European champions back in June, but remaining in Brazil with Santos until the end of the current season. According to Don Balon, Perez is hopeful that both men will become permanent fixtures in the first team in January, as he looks to accelerate Rodrygo’s move from Santos. Julen Lopetegui’s current crop of players are struggling at the start of the 2018-19 campaign, having failed to win any of their last four matches in all competitions – a spell during which the team failed to score a single goal. 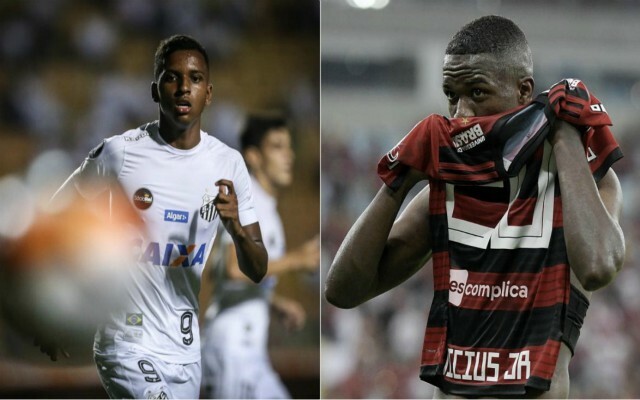 At 17 years of age Rodrygo is one of the most exciting talents in world football at the moment and along with Vinicius, Madrid may be looking to introduce them both to regular football at the highest level earlier than they had initially planned. Brazil are one of the most revered footballing nations of all time simply for the fact that they regularly produce some of the best players in the world and these two look like being the next in line. Madrid might be struggling in front of goal at the moment, but Perez might have stumbled onto an idea which can solve those issues quickly without having to dip back into the transfer market.